Joining Syfy’s already popular international and domestic acquisitions that include "Bitten," "Lost Girl," "Continuum" and the upcoming basic cable series premiere of "Spartacus" on Thursday, June 26 at 10 p.m. (ET/PT), is the New Zealand dramedy, "The Almighty Johnsons." The action-packed "The Almighty Johnsons" follows the Johnson boys, four typical fun-loving guys who have inherited the power of Norse Gods. But the Johnson brothers are no flashy superheroes. Everyday Gods have everyday struggles – searching for love, overcoming sibling rivalry and fulfilling their God-like destiny – while still enjoying a few beers with their mates. 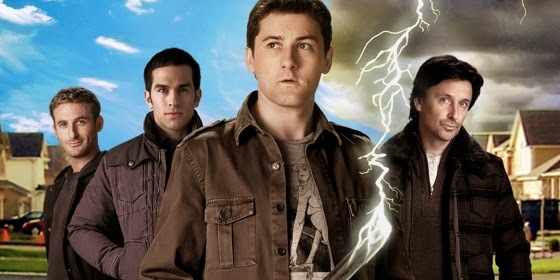 Syfy will premiere the ten-episode first season of "The Almighty Johnsons" beginning Friday, July 11 at 10 p.m. (ET/PT).